Our teeth are commonly known for its function in helping us chew and bite food correctly and efficiently. Aside from it being one of the most important parts of our digestive system, it is also one of the best features that make up our physical appearance. However, there are still some remarkable things that we did not know about our teeth. Lakewood Dental Trails is excellent family dentistry in Temple, TX providing patients with different General Dentistry Services including Cleanings & Checkups, Cracked Tooth Repair, Tooth Extractions and many more. We aim to give our patients the best and quality dental care because we believe that everyone deserves the best, always. No teeth have exactly the same shape and size. Every tooth in your mouth has its own profile. That makes every tooth unique! Eating cheese is good for your teeth because it neutralizes the acid. Dental plaques on the teeth are made up of more than 300 types of bacteria. Babies already have 20 teeth hidden inside their gums. Teeth are not bones. Bones, when damaged, can heal and grow back by themselves, teeth cannot. Not all your teeth are visible as some hide inside the gums. There are “teeth festivals” too. China celebrates their annual “Love your teeth day” during the 20th of September. Your teeth’s friend, toothpaste, contains fluoride that might kill a child when swallowed. Do not brush your teeth right after eating or drinking to avoid enamel damage. Wait for at least 30 minutes or half an hour before brushing. Plaque can build-up as fast as four hours after brushing your teeth. Before, people use twigs or their fingers to brush their teeth. Notice that when you are right handed, you will be most likely to chew food on the right side and vice versa. The saliva that your mouth produces and fill almost two swimming pools because it generates over 25,000 quarts of saliva in a lifetime. Teeth are even harder than bones. Urine was used as a mouth rinse during the Roman Times. Can it really cleanse the teeth? Well, it’s sterile! Everyone deserves quality and comfortable dental experience. 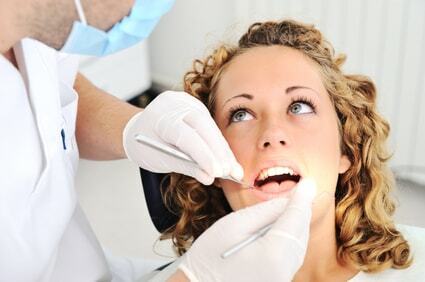 Avail of our General Dentistry Services in Temple, TX. Book your appointment with us at Lakewood Dental Trails. We are located at 10252 W. Adams Ave #101, Temple, TX 76502.